Music: Jarosław Marciszewski – tracks no 2, 3, 4, 6, 7, 8, 9 i 10; Sławomir Draczyński tracks no 1 i 5. Recorded by: Sławomir Draczyński. April 2016, Kopalino, Poland. 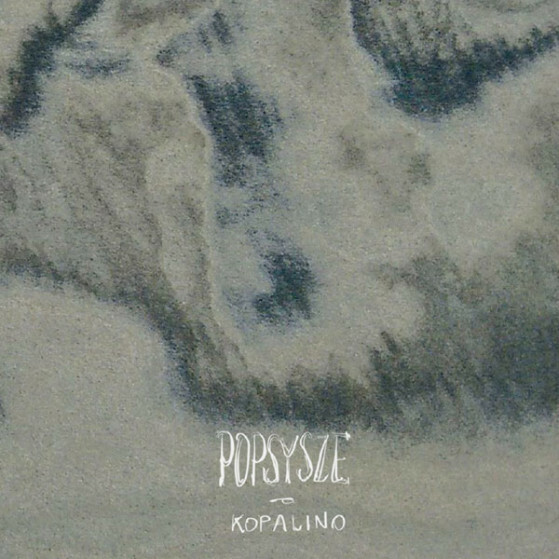 Popsysze is a trio from Tricity. The band was formed in 2008 and consists of Jarek Marciszewski (lead guitar, vocals), Sławek Draczyński (bass) and Kuba Świątek (drums, vocals). The band released two albums: “Popstory” (2012) and “Popsute” (2015). The third album was recorded in April 2016 during a week-long stay in a summer house in Kopalino village. Most of the tracks were composed and arranged within that period. In the material recorded you can hear the sea, smell wet soil. The group was captivated and inspired by the surrounding so much that they decided to name the album “Kopalino”. Jarek Marciszewski is the author of the lyrics. In the process of writing he was supported by Grzegorz Nawrocki from the Kobiety band. He was, among the others, a co-author of the “Latarnia” lyrics. The album is going to be released on 11 Feb 2017 on the Nasiono Records label. The record release party concert will be held in B90 Club in Gdańsk on 11 Feb 2017.